RemainLtd111 has arrived just in time for the celebrations of the festive season. 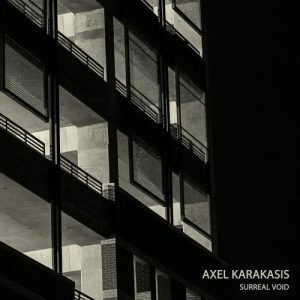 A three-track EP by Axel Karakasis is in place to lift your spirits and get you into the party mood! Unstable Blister is an auditory beauty based on analogue sounds. Upbeat tempo, amazing samples, futuristic filters and the result is one unforgettable groove-maker that will keep punters dancing to the little hours! Psycho Suffering is setting the pace for insane partying and is one of these compositions that have individuality, character and sounds that make it stand out! Combining a highly rhythmic bassline and beats, some hauntingly good keys and an aptly mellow voice sample layered, this track is a force to be reckoned with.. However, this release wouldn’t be complete without the fierce Surreal Void. Ever so powerful from the very first beat, this is one absolutely crazy track that keeps building up throughout in the more discrete way! The beats and samples alternate and are precisely placed under a series of crafty filters, which add the ‘wow’ factor!